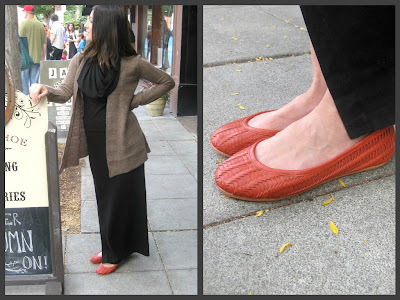 Horseshoe Boutique: Don Your Duds: Fall Friendly Maxis! Don Your Duds: Fall Friendly Maxis! Who says you can only wear maxi dresses June-August? Not us! Not Saint Grace or LA Made either! So before shoving your beloved bohemian dresses to the back of your closet, take a stab at pairing them with Fall staples. Staple number one: boots. Is it already that time? It is, Horseshoe gals! With September just 2 weeks away, it's time to start searching for your new faves. Staple number two: cardigans. Since Seattle weather clearly has a mind of it's own, layering is an essential part of our ensembles. Pair this LA Made maxi (talia dress) with an open front cardigan and your favorite closed toe flat. Qi Cashmere and the Gee WaWa Lala flats are at the top of our must-have lists. The cowl neck in this maxi is enough to carry you right through Fall. This dramatic Saint Grace dress will keep you cozy in crisp Fall evenings. With slits clear up to your knees, you'll still get to show off these killer Gee WaWa Wing boot lace ups. Another Saint Grace stunner for the books. These guys really know how to make a dress! A modest neckline is perfect to pair a scarf with. 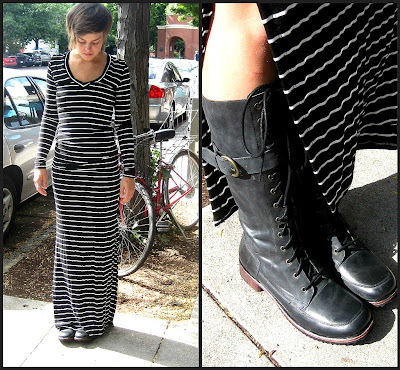 You still got yourself some sky high slits, so show off the Gee WaWa Ace boots and those stems! Yeehaw!